When you care about someone or something, you want to know who it is at an identity level. What makes it tick? What are the person’s interests? What is the organization’s purpose? These are some of the identity questions that help you understand the inner dimension. The identity of the Church is something I care a lot about, and have grown to appreciate deeply over the years. The Church is the vehicle by which Jesus Christ said his ministry would continue on earth after he physically departed. In a reality that can only be described in mystical terms, Jesus said that the Church would quite literally become his manifest Body. That is mind blowing to me – wherever and whenever faith-filled people join together in community, we are seeing the actualization of the body of Christ. Like anyone or anything that has a personality, the Church has a multilayered identity. There is much that could be said about it, and many passages that could be explored along that line. But the Biblical text that has most informed my understanding of the identity of Church is found in Ephesians 4.1-16 (you can read the whole thing here.) It is one of the most comprehensive descriptions of the Church given by the Apostle Paul, and as explored in the last post, it makes that case that the identity of the Church can’t be understood apart from understanding the concept of Jesus as King. Said another way, until the imagery of Jesus as King makes sense, we will never fully understand what God intended the Church to become. So what is the connection between King Jesus and the identity of Church? The whole world has been created to operate in proper relationship to Jesus, which is where the imagery of King comes in. When created things are under the complete management and rule of Jesus the King, they operate according to their design and thrive and flourish. When created things are not under the complete management rule of Jesus the King, they deteriorate and fall apart. That is why so much of the world is in its current mess – everything is built to be under the lordship and complete management of Jesus Christ. To the degree that it remains outside of the lordship of Jesus it will continue to self destruct. To the degree that it is brought under the lordship and complete management of Jesus Christ it will experience healing and restoration. On this side of Heaven nothing seems to operate quite according to its design, so you could easily make the case that everything is in disrepair to some degree or another. That is where Ephesians 4 comes in. When talking about the identity of the Church, Paul starts with an image of a Jesus as a Healing King – he has come to bring healing to all things that are in disrepair. I’m convinced that the image of a healing king is a critical foundation for understanding the identity of Church. The Church may be the extension of the body of Jesus Christ, but that doesn’t mean that Jesus’ end goal is just to build churches. It goes much further than that. Jesus has come to inaugurate and advance the Kingdom of God. He has come to make all things right, to return things to their proper created order, and to heal and redeem all that has been broken and lost. 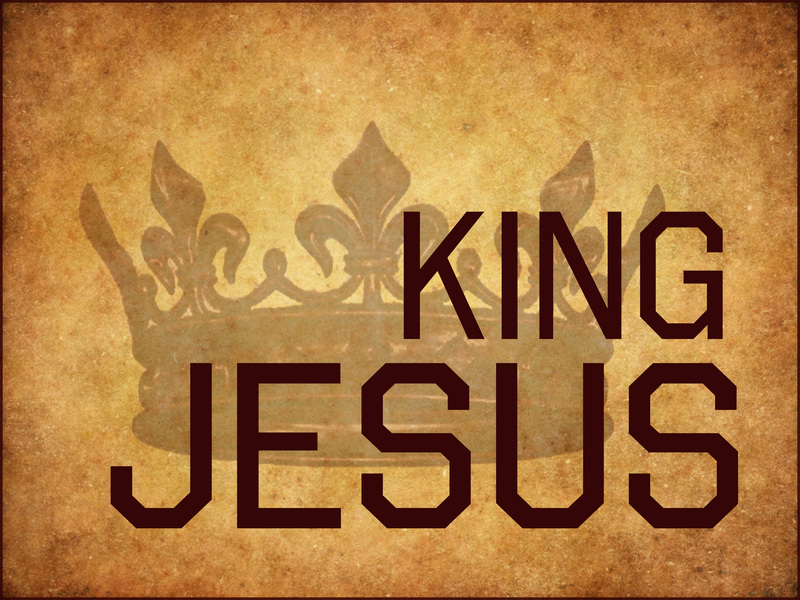 To miss this imagery of king/kingdom is to miss the main message that Jesus carried with him everywhere in human form. For instance, whenever Jesus would announce his identity, he would almost always use king/kingdom language. “Repent for the kingdom is near” was the most common way Jesus summarized his message. What did that phrase mean? It was an appeal to all that would listen to take seriously the gap between God’s design and our current reality. To repent is to recognize the fact that we are living as our own little kings and building our own little kingdoms. It is to change course, and to allow the Healing King to take back over that which should have been his all along. To repent is to think in a new way – in a way that sees Jesus as king and reality as his kingdom. To repent is to ask for healing, and to receive the gift of becoming a healer. When the disciples asked Jesus to teach them to pray, what was the imagery that he used? He told them to pray, “Thy kingdom come, thy will be done, on earth as it is in Heaven.” What was he saying? That they should align themselves with the Healing king – the King of Kings – and join in both prayer and action as they pursued the future reality of Heaven as it is expressed here and now in our broken world. That is one of the reasons that I believe it is so critical that each of us understand and embrace king/kingdom language… even if it is not reflective of the everyday language we use today. It points to a renewing, restorative, transformational reality. When the created order is under the lordship of Jesus the King, they experience that healing reality. When the created order is not under the lordship of Jesus King, they experience the opposite. This idea was so crucial for me in beginning to understand the identity of Church. It still drives how I think about our mission at River City. In the next post I’ll explore how the idea of Jesus as King shapes the way we should think about pastoral leadership/identity, but for now, I’d encourage you to take some time to reflect on this amazing idea. In the context of the Church, Jesus Christ identified himself as a Healing King. He has come to heal and renew and transform anything that will submit to him as King. That’s amazing news for all of us who are self aware enough to realize how badly we need to be healed and renewed. And the good news just keeps coming. The Healing King has also come bearing gifts for each of his loved ones – gifts that are to be used in the collaborative effort of healing the world. King Jesus doesn’t just want to heal you – he wants to ignite a passion in you to join him as he heals the world.